There are disagreements about which are the worlds’s most dangerous volcanoes, and this is at least in part because there are different ways of determining the danger presented by any single volcano. Researchers can consider things like the number of people living near the volcano and likely to be directly affected by an eruption, as well as the volcano’s history, how frequently it erupts and how violent the eruption is likely to be. It is unknown precisely how many active volcanoes there are in the world, partly because there are different definitions of what constitutes an active volcano. A volcanic field may contain more than a thousand individual vents while sharing the same magma chamber, and while some would count that as a thousand or more, others would count it as a single volcano. It is estimated that approximately 20 volcanoes will be erupting at any given time across the world according to the Smithsonian, with as many as 160 in each decade. This will not include the vast majority of eruptions that occur on the sea floor and go unnoticed each year. One thing on which there seems to be agreement is that the most dangerous volcano in the world is Mt. Vesuvius in the Gulf of Naples, Italy. Vesuvius, historically, has extremely explosive eruptions and that is combined with the densely populated area surrounding the volcano. Even the major city of Naples is just a little over 12 miles away. 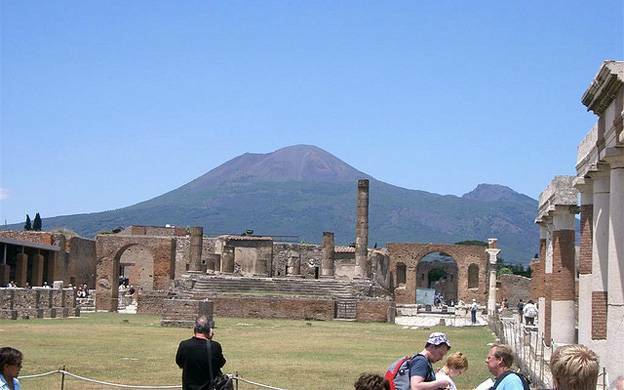 Vesuvius has been quiet since 1944 but its major eruptions are known worldwide, including the one that destroyed Pompeii in 79 CE. Indonesia’s Merapi volcano is another that is known for explosive eruptions and sits in one of the world’s most densely populated areas. Merapi is feared for its deadly pyroclastic flows and eruptions every five to ten years. Merapi is Indonesia’s most active volcano but it saves its most explosive eruptions for every thousand years or so. Nevertheless, eruptions through the late 20th century have resulted in many fatalities. Sakura-Jima in Japan is known as the Oriental Vesuvius. 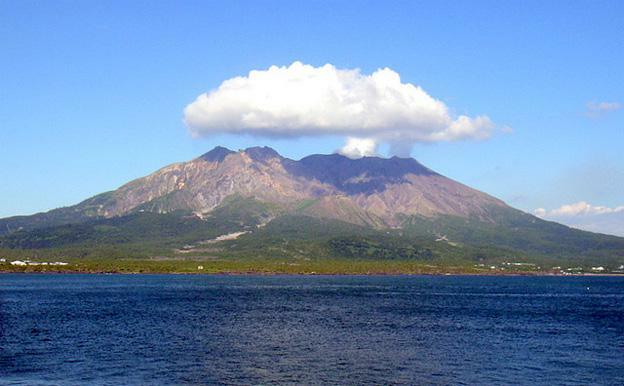 Located on the island of Kyushu, it is just a few miles from the city of Kagoshima with a population of over 750,000. The Japanese government has designed a series of shelters to help protect the residents from falling ash and debris, but a major eruption might overwhelm any possible defenses, and the only hope would be to have sufficient warning time to evacuate as many people as possible. Popocatepetl in Mexico has the potential to kill massive numbers of people for a number of reasons. Just 43 miles from Mexico City, which has a population of millions, Popocatepetl hides under a massive glacier, waiting to erupt. Not only will residents of Mexico City and surrounding towns and villages suffer the effects common to volcanic eruptions, but they will also be subject to giant flows of mud and debris called a lahar that will be produced when the hot lava and gasses from the volcanic eruption melt tons of ice from the glacier. A lahar flow, which acts like flowing concrete, will destroy everything in its path as it moves quickly down the side of the volcano and sweeps into the surrounding areas without mercy. Mt Rainier, in Washington State, is an active volcano that overlooks densely inhabited areas, with numerous valleys leading down to Puget Sound. Geologists have labeled it one of the most hazardous volcanoes in the United States. Past eruptions of Mt Rainier have resulted in giant mudflows, or lahars, which carried tons of debris down the side of the mountain and buried areas that are now densely populated with both residents and businesses. Geologists note that there might not be sufficient advance warning to evacuate people who are in Mt Rainier National Park and those living closest to the mountain in the event of an eruption or a lahar flow, especially since a lahar can occur without a full-on volcanic eruption, and can travel at a rate of 40 to 50 miles an hour spreading debris to a depth of 100 feet. Mt. 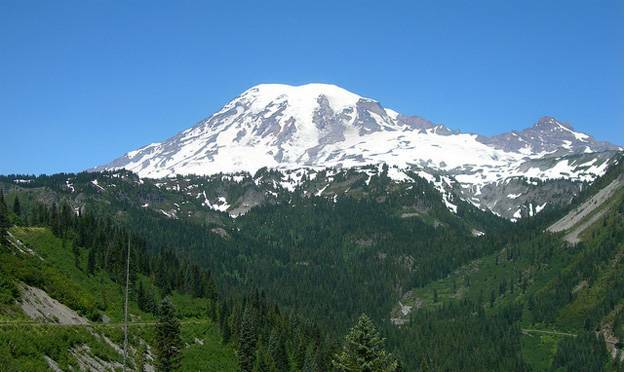 Rainier’s last eruption took place in the 19th century with lahars historically occurring every 500 to 1000 years. Yellowstone, Wyoming is the home of one of the world’s super volcanoes. The last eruption of Yellowstone occurred about 640,000 years ago and according to some volcanologists, it is about 20,000 overdue to awaken again. Others, however, believe it may not erupt again for another several thousand years. Geologists have recorded increasing numbers of minor earthquakes around the volcano and have noted that the caldera inside the volcano has been steadily rising. The eruption of a super volcano would have catastrophic consequences both for the United States and Canada within a radius of 600 miles. Rose writes for BBC in a variety of topics.